Do you have a student that has a passion for STEM? A student that has set goals and proven that they have what it takes to achieve those goals? A student that knows that setting and making goals in the classroom are as important as those made on a basketball court? A student that has shown great growth in the past year? 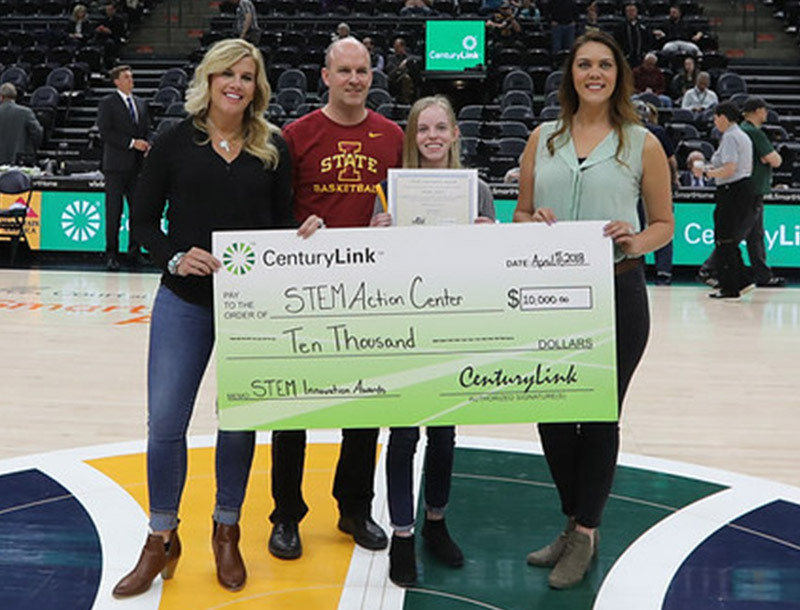 The Utah Jazz and CenturyLink are partnering with the STEM Action Center to recognize outstanding students that have demonstrated their commitment and passion for excellence in their STEM efforts in school and their community! We are accepting nominations for your outstanding student to be recognized at a Utah Jazz game! The nomination form must be filled out completely. Areas left blank will be disqualified and not entered into the program. All nominations must be submitted by an educator or school administrator. A panel of passionate STEM supporters will review nominations and select the awardee that has made outstanding contributions to their peers, school or community to advance and enhance STEM learning and achievement. Winners will be selected by the STEM committee. The recipient of this award will receive two (2) tickets to a preselected Utah Jazz game. The student will receive on-court recognition, be featured on the scoreboard, and will be given a personalized Utah Jazz jersey. The CenturyLink STEM Excellence Award Program ends on March 26, 2019, at 11:59 p.m. MST. IN ORDER TO RECEIVE THE AWARD THE WINNER MUST BE ABLE TO ATTEND THE JAZZ GAME. The student who receives the Utah Jazz/CenturyLink/STEM Action Center must be able to attend the designated Utah Jazz game. Read the complete rules and regulations here. *STEM and STEM-related areas can include math, any sciences (e.g., earth, computer, biology, chemistry, environmental) pre-engineering and technology). Reading scores and grades can be taken into account for elementary student nominees.